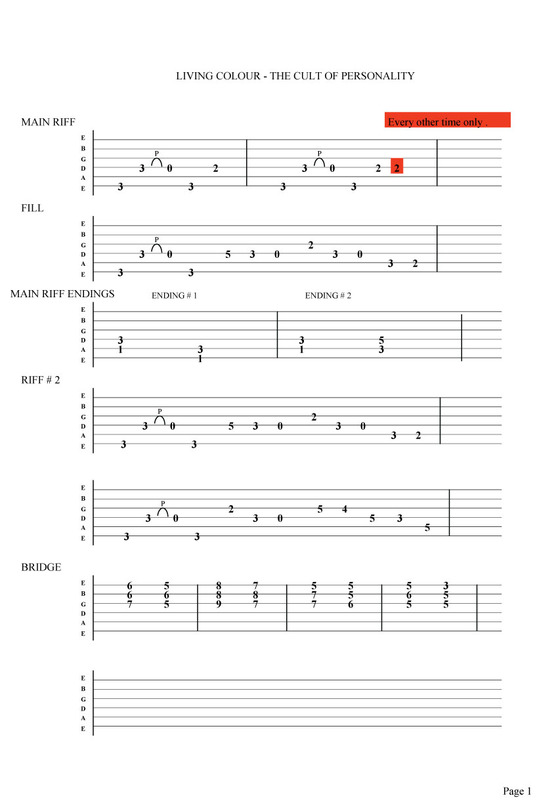 Free Living Colour The cult of personality guitar tab . 80's metal at it's best ! Living colour are still going strong and have penned some brilliant songs along the way . Click here for The cult of personality guitar lesson video .